Many municipalities and tracks have begun to implement new, tougher regulations that limit the sound output of street bikes, offroad cycles and ATVs. Two Brothers Racing has developed a series of highly effective sound reducing tips which can help you be compliant. Our P1-X PowerTip? 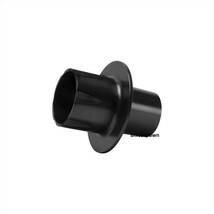 sound suppressor is a recommended accessory for our exhaust systems with M series endcaps. A straight-through sound diffuser, the TBR PowerTip? quiets the pipe about 7-8 dB with no significant reduction in horsepower. Maybe used with a spark arrestor screen. Easy to install - simply unbolt your existing M series endcap, drop in the P1X and reassemble.